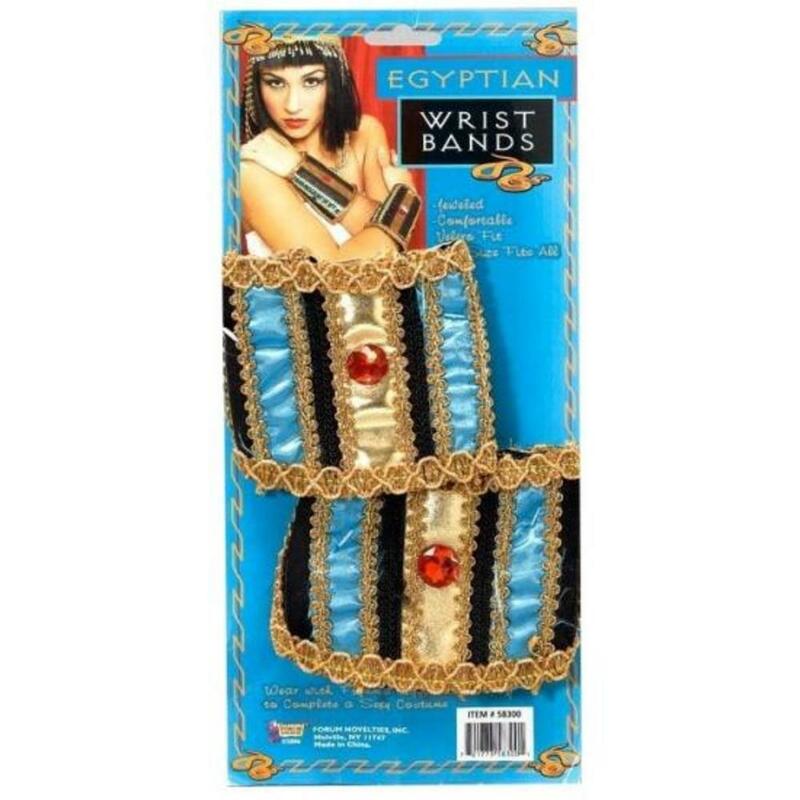 The Queens of Egypt were renowned for their taste in luxurious clothes and accessories, so complete your Cleopatra fancy dress costume with these beautiful Egyptian wrist bands. Included is a pair of black and gold coloured wrist bands styled with ornate plastic gems, multi coloured panels and velcro fastening to the inner to keep them secure on your wrists. The perfect accessories for wearing to an Egyptian fancy dress party. Pair of wristbands with velcro fastening.